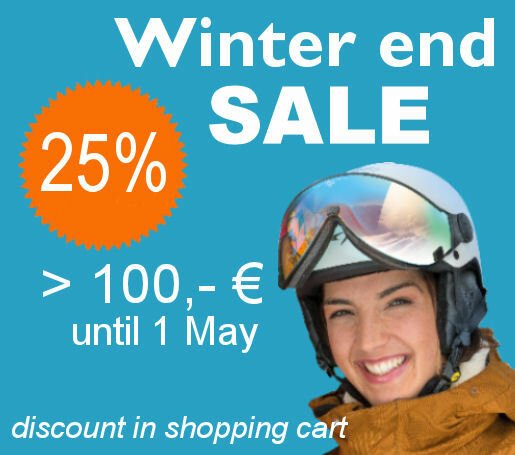 With this ski helmet & ski boots bag never walk with 2 bags again! 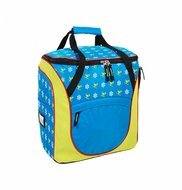 This bag has a big main compartment for a ski helmet or jacket and another entrance for the ski boots with a waterproof separation. 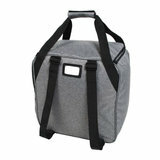 With this ski boots bag & ski helmet bag in grey you can carry your ski boots or Snowboard shoes, a ski helmet & ski goggles or ski helmet with visor perfect storage. Easy to transport with the pleasant carrying handle and this high quality ski helmet bag you can also use as comfortable backpack. 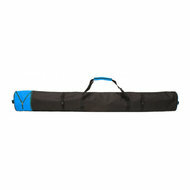 ski helmet bag & ski boot bag in one, but separated from damage and scratches. The bag features zipper closure, tasty carry handle, double reinforced base plate, address box, and a convenient front pocket for e.g. some sun tan lotion. 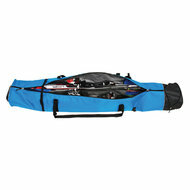 This bag for ski boots and ski helmet, there is also in a different color scheme. 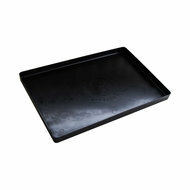 Optional there is even a plastic bottom plate available with us (see below), please note this will not fit on each ski boot bag! 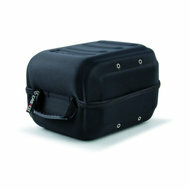 The ideal bag at winter sport with plane! No longer carry 2 bags! 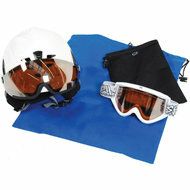 If you are on winter sport with aircraft then you want of course your hands free. 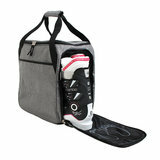 Then this bag for snowboard shoes / bag for ski boots and ski helmet is perfecy because you can use it as comfortable backpack! 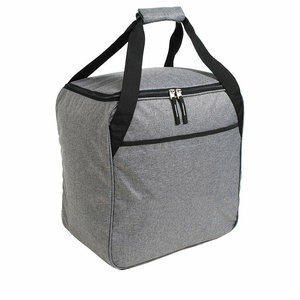 So you keep your hands free for your hand luggage and in addition a snowboard or ski bag.